The driver of this big rig asked how much to rent a bay for his truck. A single mother of five came to Self Serve Garage with squealing brakes looking to save some money on brake repairs. 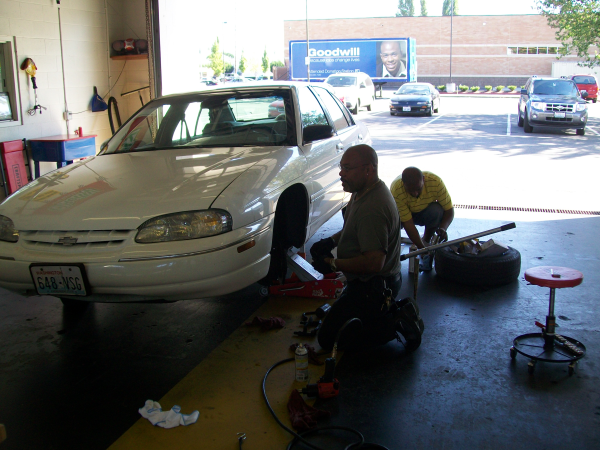 Self Serve Garage works as a do-it-yourself shop, and has mechanics that are for hire in a couple capacities. 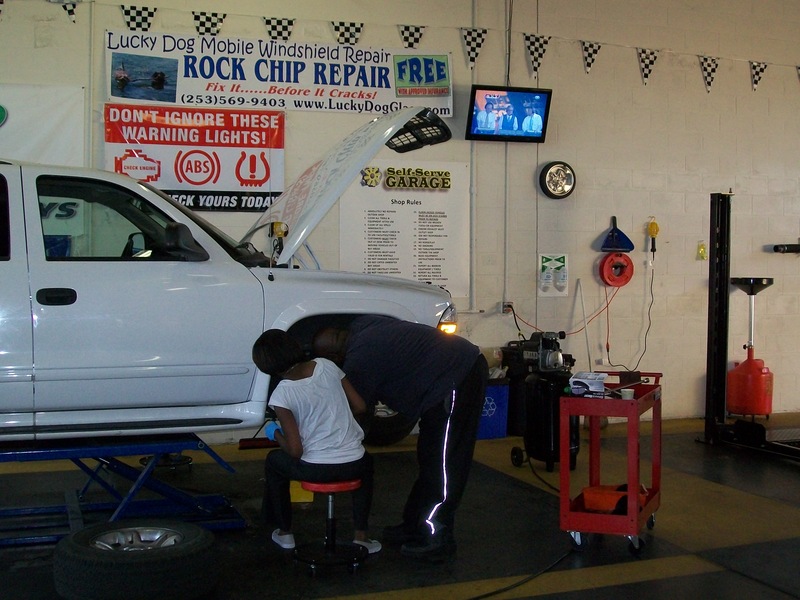 1) cutomers can hire the mechanic to repair their vehicle. 2) customers can receive advice/guidance from the mechanics for their projects. This mom decided she wanted to learn how to repair her own brakes and save money at the same time. She hired a mechanic to guide her through the repair, and saved over $150. Self Serve Garage provides “options” to vehicle owners of the Pacific Northwest. This father and son teamed up on a German built vehicle to do an oil change. They were given a quote of over $180 for an oil change from a dealership. They rented a bay at Self Serve Garage and worked together to change the vehicle’s oil. They smiled spending a little time together and saving just under $100. Hey George!!! I saved almost 100 compared to the Mercedes Dealer!! Thanks man I appreciate it! 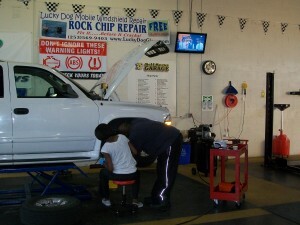 Contact us to Rent a Auto Repair Bay for an oil change for $10. You must complete the oil change in 30 minutes or less. 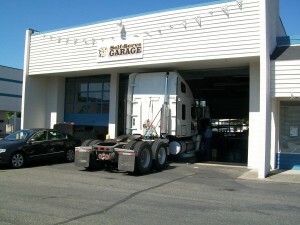 Any oil change lasting more than 30 minutes will be charged the hourly bay rental rate. 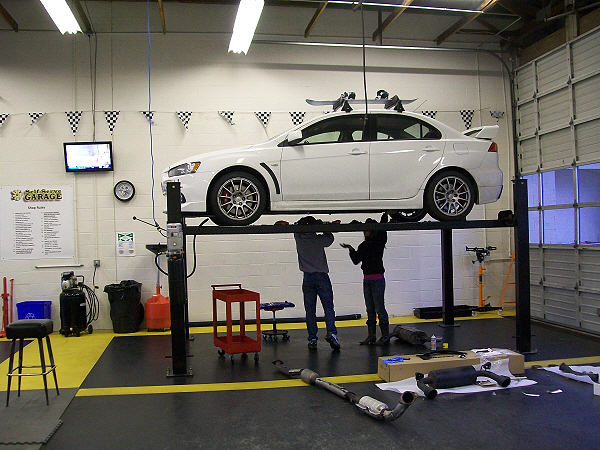 Saving money by replacing a muffler system at Self Serve Garage! A young husband and wife decide to do a project together, replace a muffler system on their vehicle. They live in a condo downtown Seattle, no garage space available for automotive repairs/modifications. The husband is somewhat of a handyman, so he researched the repair/modification on the web (AutoMd and other sites). According to AutoMd, the replacement of the exhaust system for a 2008 Mitsubishi EVO is over $700 at a full service shop, parts alone are approximately $400. His system was more because it was a special exhaust system, but they saved by installing it here at SSG, less than $100, for approximately 3hrs of shop time. The couple smiled when they realized how much money they saved. “I don’t know what this would have cost at a full service shop, but I know it would have cost more than here.” they told us at Self Serve Garage. I’m glad your here, and we will be back”.